Who has your team been drawn in the early stages of the FA Cup, FA Vase and FA Trophy. See below for a full list of Sussex Teams. All ties must be played on Saturday 6 August 2016, kick-off 3.00pm with replays on or before Thursday 11 August 2016, kick-off 7.45pm. Horsham YMCA v Hollands & Blair,Holmsdale v Haywards Heath Town, Littlehampton Town v Pagham, Hailsham Town v Crawley Down Gatwick, Beckenham Town v Lancing, Croydon v AFC Uckfield, Peacehaven and Telscombe v Lordswood, Tunbridge Wells v Eastbourne United, Newhaven v Guildford, Raynes Park Vale v Eastbourne Town, Worthing United v Shoreham, East Preston v Horley Town, Crowborough Athletic v Farnham Town, Arundel v Chichester City. 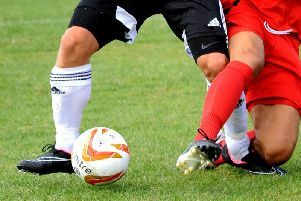 Hailsham Town v Lingfield, Whitstable Town v Chichester City, Broadbridge Heath v Crowborough, St Francis v Ringmer, Raynes Park Vale v Haywards Heath Town, Arundel v Westfield, Horely Town v Hassocks, Sevenoaks Town v Crawley Down Gatwick, Guildford City v Eastbourne Unted, Mile Oak v Erith, Littlehampton Town v Saltdean, Worthing United v Peacehaven & Telscombe, Langney Wanderers v Selsey. Kinstonian v Lewes or Tilbury, Potters Bar or Horsham v Molesey or Romford, Worthing v Chipstead r Kempston Rovers, East Grinstead Town or Three Bridges v Phoenix Sports, Ramsgate or Hastings united v Aylesbury United or Chatham Town, Slough Town v Bognor Regis Town.